The decadent Ambani wedding caught Pakistan’s fancy this year. The Isha Ambani and Anand Piramal wedding in India travelled far via social media posts and media frenzy. But Karachi seems to have been unusually inspired by it. 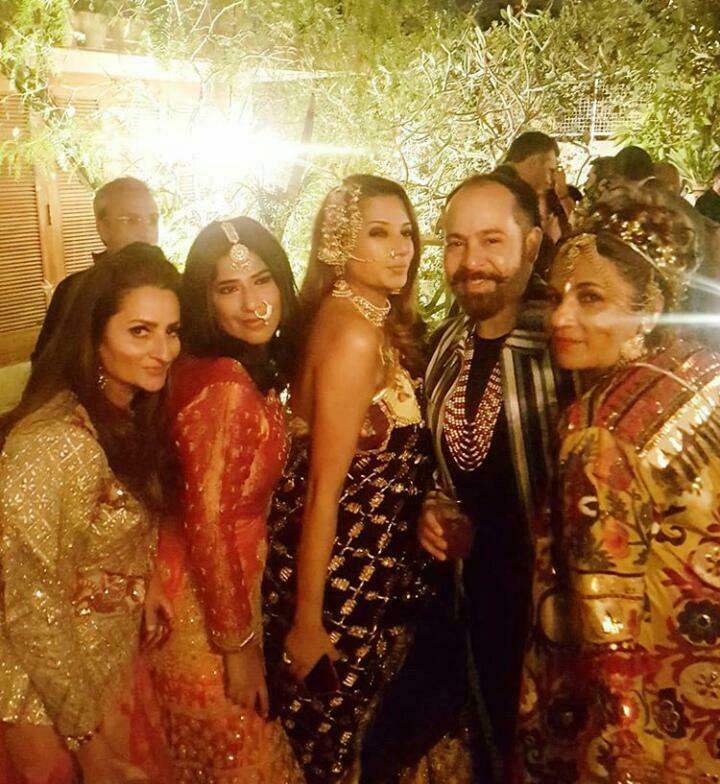 At a weekend Karachi party recently, the Ambani wedding was actually the theme. ‘Decemberistan’ as it is known in Karachi got bigger and better last weekend. It is a time when Karachi parties, and this time it got an Ambani twist. For those who are not familiar with the term, ‘Decemberistan’ is “a fleeting psychological and physical condition brought on by seasonal displacement when a false sense of mass euphoria and wellbeing affects the population of urban Pakistan”. It is brought about by a cocktail of “chilly weather, wedding ceremonies and the return of chirpy, affluent non-resident Pakistanis for a short period”. 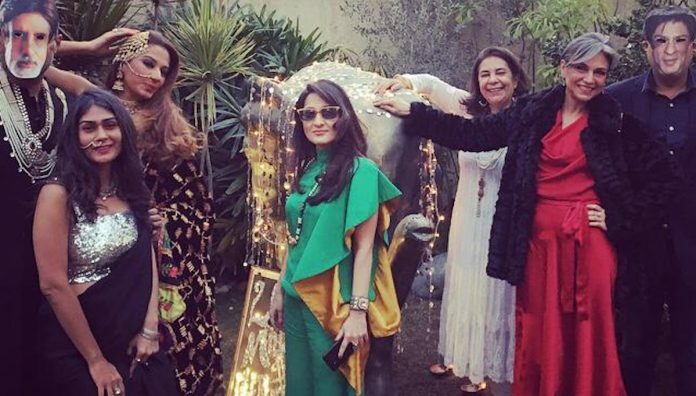 The Ambani-themed party is now being called Karachi’s craziest bash this season. 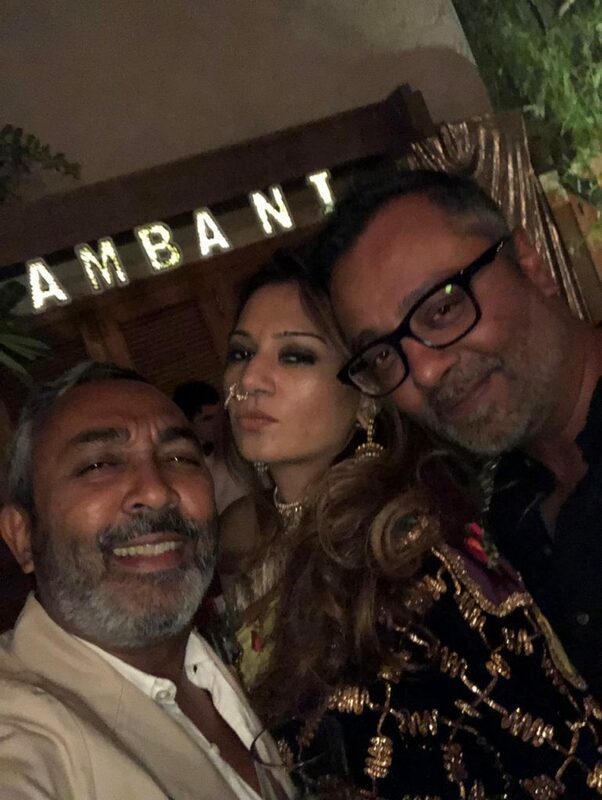 “It was the pulse — the Ambani wedding was all everyone was talking about,” said the glamorous hostess and former Pakistani supermodel turned Hong Kong-based expat, Aliya Zaidi about her annual winter soiree. 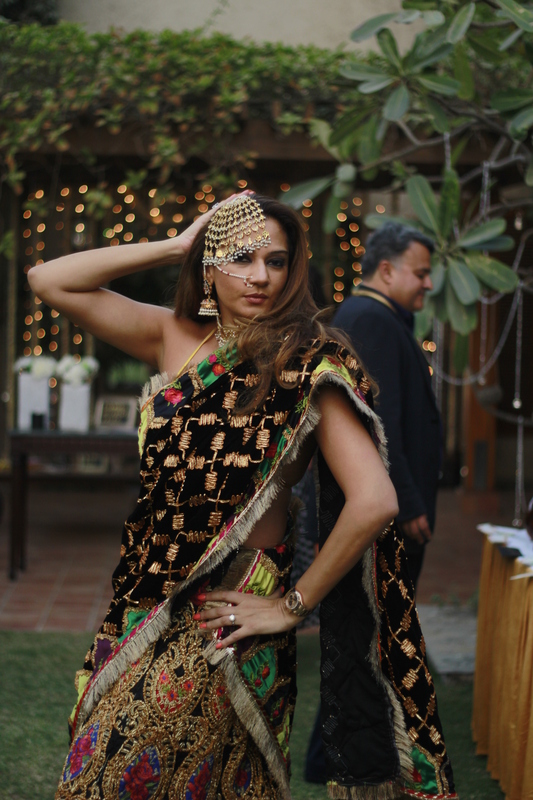 Her parties at the beautiful, upscale bungalow usually have quirky themes – she has done one on the 60s cabaret ‘Khusmas’ and one on Austin Powers in the past. It’s strictly by invitation only, and nobody gets to gatecrash. The widely shared pictures, videos and wedding vows of the Instagrammed Ambani wedding caught Pakistanis’ fancy this year. Grandiosity, bling and opulence were the dominant motifs of the party — white flowers, chandeliers and crystals. And from the mock Manish Malhotra pop-up store to vases encrusted with fake diamonds to sari-clad mannequins standing in as celebrity guests — it had it all. 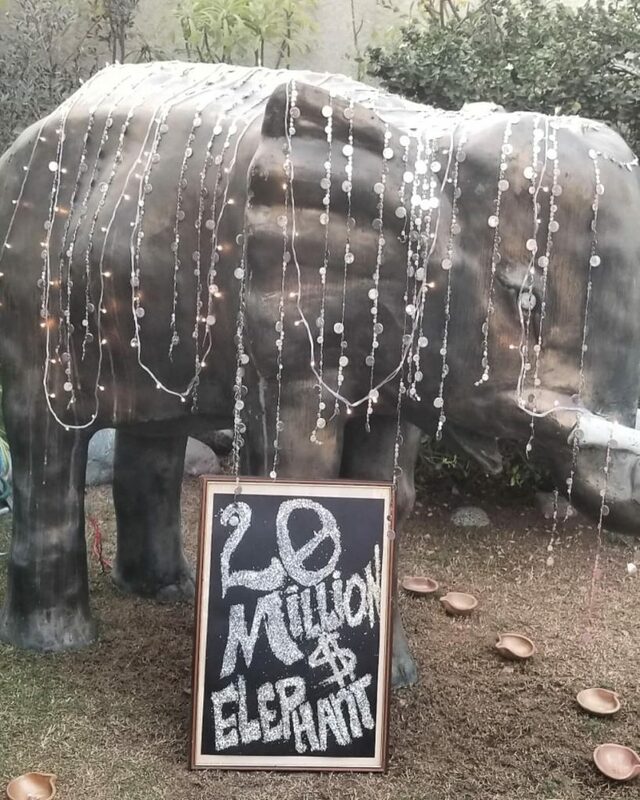 There was a fake-gold wall, orchids flown from Thailand, and a giant elephant with a sign saying ‘$20 million elephant’. There was even a gold cut-out of the name ‘Ambani’ near the drinks counter. The hostess has in jest dubbed her party the ‘100 million dollar event’. The dress code for the evening was, of course, to dress ‘ostentatious’. Everyone made a huge effort for their grand entrances – blingy saris, designer lehengas and sherwanis, rich colours, plush fabrics and all the family jewellery. And the playlist for the evening was a mix of wedding numbers, ’70s disco and popular dance-floor favourites from Bollywood — everything from desi to Calvin Harris. The DJ ‘rocked the evening’, the guests said, for eight hours straight – 4:00 pm to midnight. Some of the songs included Mehbooba Mehbooba, Dilbar Dil Se Pyaare, Aap Jaisa Koi Meri Zindagi, Guru Randhawa songs, Chhamma Chhamma and London Thumakda. 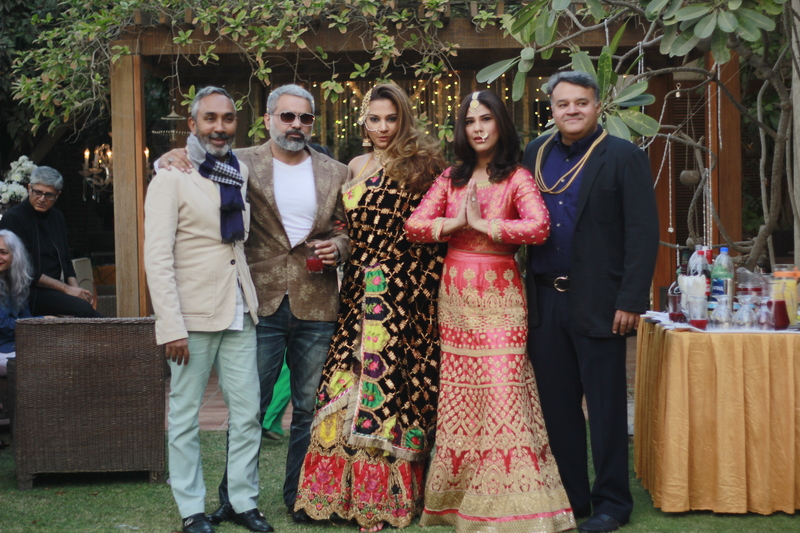 The guest list included the who’s who of Karachi – stars from the television and film industry as well as the fashion fraternity, along with socialites and expats. 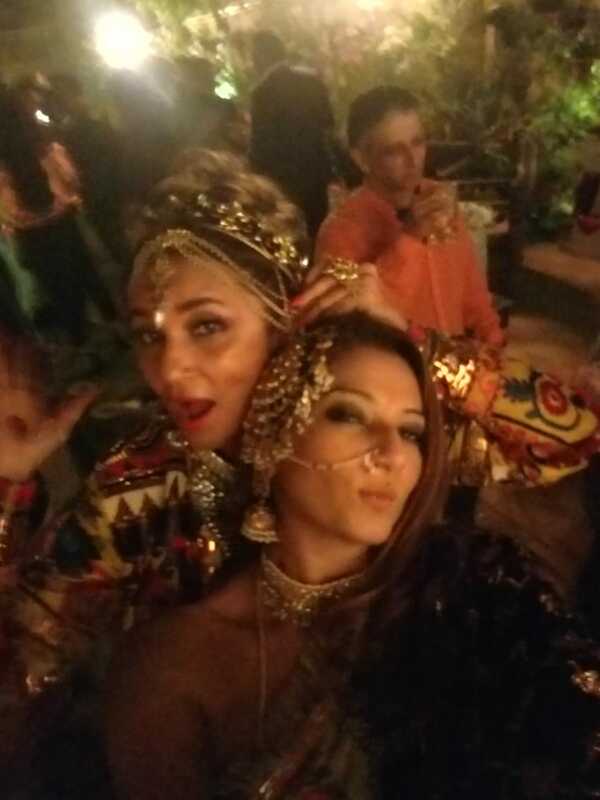 Dressed in gold and a Queen B-inspired ‘maatha-paati’ and a crown, former model-turned-choreographer and PR-maven Frieha Altaf made an appearance as Beyoncé – the Ambani wedding’s star performer. 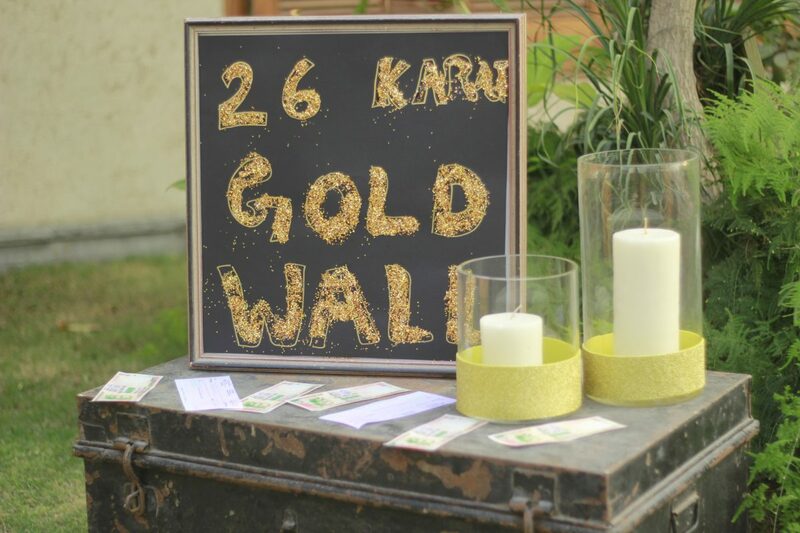 This is how Karachi recreated the splendour of the young Ambani couple’s special day. Decemberistan has never had it this king-size. The author is a print and electronic media journalist based in Karachi. Itni hi aukat hai ki..
very cute. would have liked to be there. Actuall I am happy. Coz it shows rhe difference between the progress made by two countries. India is leaps and bounds ahead of Pakistan. And the bechara garib mulk can just do cheap copying of the uber rich Mulk. ???. Hey when you guy’s will do something original stop cloning. I think they were mocking rather than imitating. One thing is clear pakistan without its mullahs, ISI, hafid saeeds, dawood and theusual kashmir rona is beautiful and adorable..